Mapping parallel applications onto a network on chip (NoC) that is based on heterogeneous MPSoCs is considered as an instance of an NP-hard and a multi-objective problem. Various multi-objective algorithms have been proposed in the literature to handle this issue. Metaheuristics stand out as highly appropriate approaches to deal with this kind of problem. These metaheuristics are classified into two sets: population-based metaheuristics and single solution-based ones. To take advantage of the both sets, the trend is to use hybrid solutions that have shown to give better results. 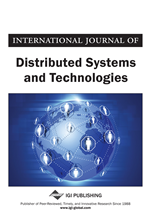 In this article, the authors propose to hybridize these two metaheuristics sets to find good Pareto mapping solutions to optimize the execution time and the energy consumption simultaneously. The experimental results have shown that the proposed hybrid algorithms give high quality non-dominated mapping solutions in a reasonable runtime. Since the mapping problem is considered as the one of the most design challenges in NOC based heterogeneous MPSoC which affects greatly the final system performance, the design of robust optimizers is required. Several optimization methods such as exact methods and metaheuristics have been proposed in the literature to tackle this problem. Due to today’s high systems complexity, the exact methods have quickly reached their limitations because of their unacceptable runtime. Metaheuristics stand out as highly appropriate approaches to tackle this problem. As stated above, these metaheuristics are classified into S-metaheuristics and P-metaheuristics. These latter, especially Multi-objective Evolutionary Algorithms (MOEA), are widely used and have proved their success in solving this problem. The solution is to further improve these MOEAs using the local search-based metaheuristic called AMOSA and gives new approaches which draw advantages from both metaheuristic types and consequently which supply designers with the best trade-off mapping solutions.